Lilly, Aspen, Cyprus and I went to Stinson Beach, California in December 2006 for a break. I was living in a house I have never seen. It was like a shoe-box shape, with a door in one corner, and maybe two windows, totally minimalist, drab and dull. The house had a front porch made of stone/concrete, not wide, maybe 4 feet wide, and running the whole length of the front of the house. Then the porch dropped off straight down to a river flowing in front of the house. I was restless, pacing, going into and out of my home. Lilly, Aspen and Cyprus were all inside. Cyprus was about 5 or 6 years old in the dream. I was waiting by the door for what I knew was coming down the river, that is why I was restless… Then I saw them, boats, about twenty boats, each a little smaller than a car. Each boat had a driver, and I knew they were divine agents. The driver of one boat came towards my house as they came down the river, and she pulled the boat along side my house, without stopping. But I didn’t understand the line. I jumped into the boat and started yelling, “Lilly, Aspen, Cyprus, come quickly, come …” then they all ran out of the house and jumped and landed in the boat. The driver took out a marker and wrote over the line “+3” so it became, “Laurent +3” and we kept moving with the rest of the boats until all the boats had all the passengers. Then we came ashore on a beach. Our driver started to speak to me. She said that we were being taken to Baba, and that there was a special spiritual meeting he had arranged, and that was the purpose of our journey. She said it was important, and she instructed us that we cannot be involved with any vices during this meeting and after, and Baba would explain to us in detail during the gathering. In the dream, at that moment Lilly had decided to smoke a cigarette (she NEVER smokes). I turned to Lilly and told her what the agent had said, and she immediately put out the cigarette. Then we went in to a building, also boring and drab and unremarkable. Meher Baba was there and welcomed us all. He was very very old (older than any photo) and he was extremely happy and light. He was serious also, about the importance of the spiritual work, and the message he wanted to deliver to us there. His ability to be both light and serious simultaneously was remarkable to me – so joyous and yet on-task. Anyway, my old friend Mark Vincent was there as well (I don’t think he was on any of the boats), he is a Hollywood actor now (Vin Diesel), and Baba asked him to explain to us all the core message for the meeting. So Mark first turned and thanked me for bringing him into this gathering, and then obeyed Baba by explaining all that Baba had instructed him to explain. The gist of it was this: For the next ten short cycles there is intensely important spiritual work that Baba has planned to do in the world. The importance of the work could not be underestimated, and so Baba wanted us to participate in this work by not indulging in any vices during that period. Vices were tobacco, alcohol, gambling, etc. Coffee did not seem to be a factor. Anyway, Baba intended to do this work in rapid succession, and I can only translate a “short cycle” now after the dream as about a week, but in any case it seemed as if the work would be finished by Spring 2007. So, in the dream I said to Baba, something like, “Baba, then I will give up drinking any alcohol during this period of your work…” and Baba reached over from where he was sitting with us, and stroked my face. Where he touched my face, my skin became so soft. Like his touch itself was transforming me. 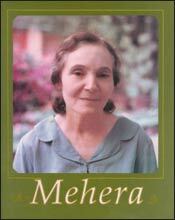 I saw Meher Baba extending himself through her, as it were. That she alone was only Him moving through her to get more of God’s work done. It was remarkable. I knew. I looked up at Baba with this knowing, and he confirmed for me, with his expression that he knew I knew. Then Baba’s Beloved, Mehera, came into the room. I spoke with her. While I was speaking with her, Lilly came over to me, and wanted me to ask Mehera a question. So I asked Mehera the question for Lilly. Mehera’s response was that for the answer, Lilly would have to ask Sedna. Then Sedna came into the gathering. Sedna was very serious (not light at all), and had long dark hair in a braid, and a long face. Lilly and Sedna began to speak, and I went back to my conversation with Mehera. The last thing I can remember is that Mehera very clearly told me that right now it is a very difficult phase of her relationship with Baba. A lot of struggle it seemed. I was surprised, because I guess I thought that all struggle was over for Mehera, but she seemed to indicate it was a bit of a crisis moment. I am still processing the above, however when I woke up (and wrote it all down) I made a conscious deal with Baba in the wake state to live up to my dream promise. I haven’t had any alcohol since that dream. That was in mid-December. Xia: This was the first dream Laurent ever shared with me. From the divine agents gathering passengers in boats, to Baba explaining the spiritual work to be done, to Laurent’s revelation about the angels – I feel like the dream as a whole is a beautiful demonstration of how Baba “gets God’s Work done”. Laurent: I must have written this dream down shortly afterwords. I remember that by the late Spring 2007 I was teaching Java at Pen State University in State College, Pennsylvania. One night, after class, a large group of the students and friends, and I all went out to dinner and drinks, and one of my students, Lisa brought me a beer from the bar. I remember asking Meher Baba (internally) if it was okay to have the beer, and got an internal okay, that the work mentioned in the dream was done. I was with Meher Baba in a room. I think we were in India. The way I remember it now, we had journeyed and just arrived there. Baba’s beloved, Mehera, was in the room also, but no one else. Baba was at a desk, and had a phone on the desk, and he was in work-mode (such as seen here). I was sitting on a bench, facing Baba, as he sat behind his desk. Mehera stood behind Baba to his left. Further to her left was a door near the corner of the room, it was closed. 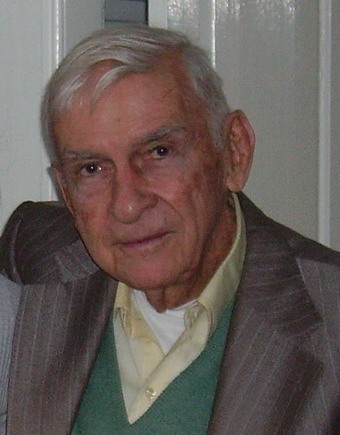 Don E. Stevens (July 2005) by Richard Griffin. photocopy of the agenda of an upcoming important meeting. It was many pages, with one special page that had some image on it (I forget the detail of that image). Don came over to me, handed me a copy of the same agenda, and then he left. He never spoke a word to any of us. Baba pushed a button on his phone and called his secretary, a woman, and he spoke over a speakerphone (intercom), hands free, and he asked her, while looking over the agenda, how many people (legally) he could have attend the meeting, both members and non-members of the board, etc. In other words, it was to be a clearly very important meeting, and he wanted pack it with as many people as possible, but also be within the bounds of the law. She explained to Baba who and how many could come. Baba hung up the phone, and wanted to go over the agenda with me and Mehera. But she had not been given a copy. She walked over to where I was sitting, sat down right next to me on my left, and told Baba (or asked) that she would just look along with me, and turned her head slightly to the right, towards the copy of the Agenda I was holding. Then I woke up. Xia: This reminds me that the Master was a tireless worker. As I read the book Avatar by Jean Adriel I was often impressed by the sheer amount of managerial and organizational type of work Baba routinely performed. Laurent: This was an unusual dream, as Baba was all work, no play (quite serious) and wanting to work by the rules. The only thing that comes to mind is that when I was a Caretaker at Meher Mount spiritual center (2005-2006), with my wife Lilly and daughter Aspen, I was responsible for the business side of the center. I met with center board members Margaret Magnus and Sam Ervin from time to time. Once, when we had to go over something important for the center business-wise, we only had a copy for Sam and for me, and Sam wanted to go over it with us both, and Margaret came and sat next to me and said to Sam, “I will look along with Laurent.” That reminded me of this dream.